Killed in action on the 25th March 1918 (age 19) at Thiepval, the Somme, France. SERRE ROAD CEMETERY No.2, Somme, France - Grave Reference VIII. J. 7. He is also commemorated on the Alcester War Memorial at St Nicholas Church, Alcester. 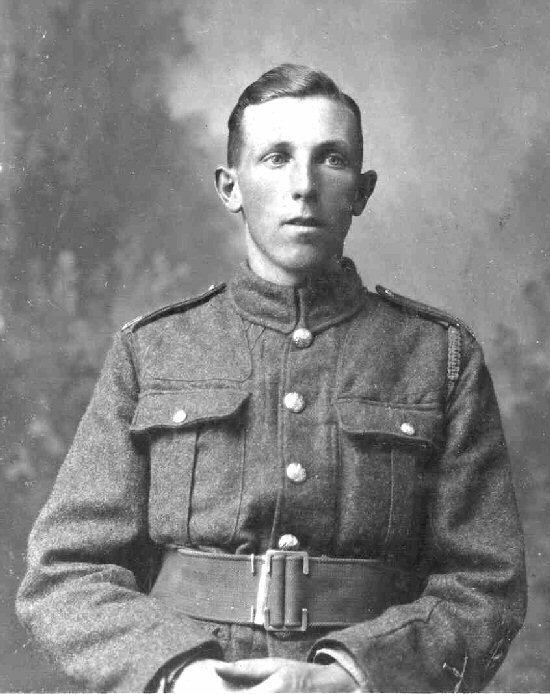 Private Tolman was from Arrow, Alcester the son of George Thomas and Alice Tolman, of 4, Arrow, Alcester, Warwickshire.